“Last year I signed up for a learn to run clinic as I decided to set some fitness goals. 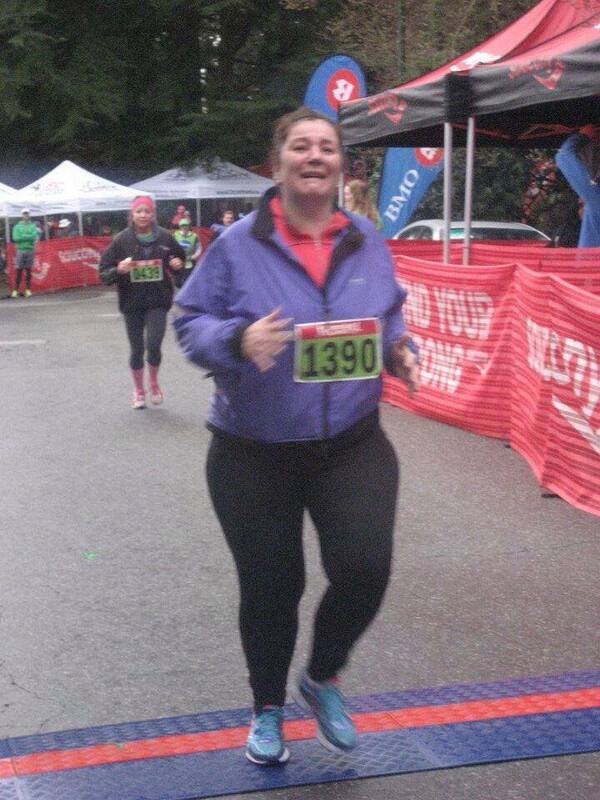 Yesterday I ran my first ever 5km at the St. Patrick’s Day run in beautiful Stanley Park. I ran it doing 10 min running and 1 min walking and completed it in 41:38. As I rounded the bend towards the finish line, I could hear the crowds cheering and my family yelling my name – I was pretty emotional as I crossed the finish line as you can see from this pic (not the finish line picture I’d hoped for :D).